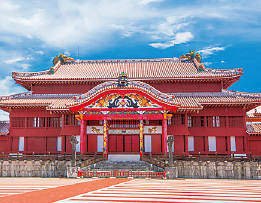 Whether your interest is in history, culture, nature, peace studies, or industry, Okinawa offers a variety of potential subjects optimal for educational travel. 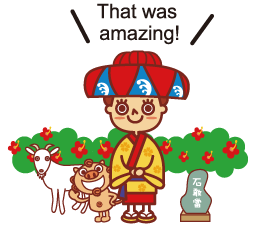 Here, you can put together travel plans that incorporate experiences impossible to have anywhere else around Japan. 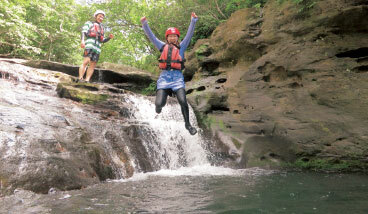 Okinawa has an abundance of attractions, allowing for a variety of plans. Pick your destinations based on how long your trip will be. We recommend limiting the trip to the main island. 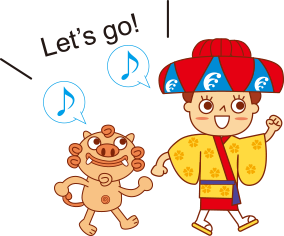 Private residences that take in lodgers on educational travel for homestays are available throughout the prefecture, allowing one to choose based on proximity to the places you want to visit. You can also set out from the main island to visit the outlying islands. The Kerama and Yaeyama Islands as well as the islands of Kume and Miyako are among the many islands in the vicinity, each with a wealth of distinguishing features. 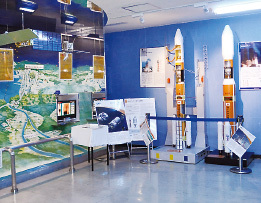 This plan allows you to visit not only the sites and facilities where you can come into contact with Okinawa’s history, culture, and natural environment, but also venues associated with cutting edge science and technology institutions as GODAC, OIST, and JAXA. The offerings focus on allowing students to enjoy themselves on their own through firsthand study and other experiences including homestays and school exchange programs, creating memories they will never forget. 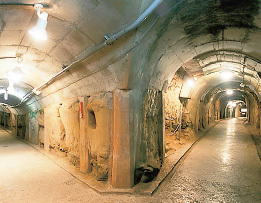 A set of caverns in which the Former Japanese Navy 5 6 7 Underground Headquarters was located during the Battle of Okinawa. The site also features a museum and resource center. The immense power of the Eisa dance makes it a must-see. Also take in a habu (Ryukyu pit viper) show and explore underground caverns. Shurijo Castle was the palace for the king of the Ryukyu Kingdom. Numerous ruins of historic sites also remain in the vicinity. 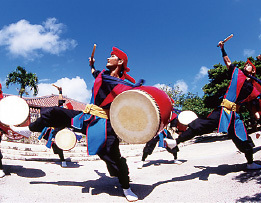 An example of traditional culture with roots in farmers’ entertainments. 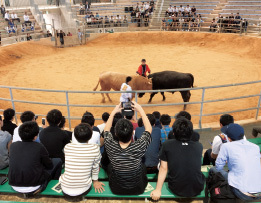 Split up into teams and cheer your bull on! 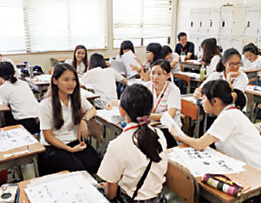 A chance to deepen mutual understanding through presentations and classes. 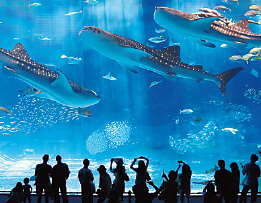 The enormous tanks where visitors can take in a panoramic view of fish from the Kuroshio Sea and coral being raised on a tremendous scale are spectacular. 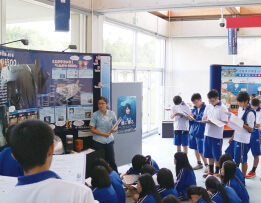 Facility allowing free field trips where visitors can get a better understanding of ocean chemistry technologies. 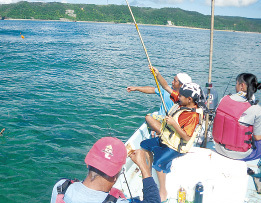 Get a taste of private life in Okinawa through cultural experiences at fisheries and in the home. 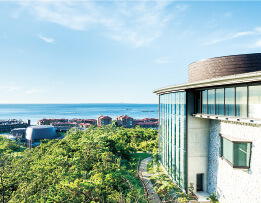 This research facility with its views of the East China Sea has a cafe open to the public. Students can learn here about the roles of manmade artificial and parabolic antennae, as well as space development.